I’ve returned from sunny Miami where I picked up my first (and hopefully not last!) book award for The Hidden Village. And what a weekend it was! Showing off The Hidden Village at the Miami Book Fair. And to think that I was in two minds as to whether I should travel all that way from Oxford in England. 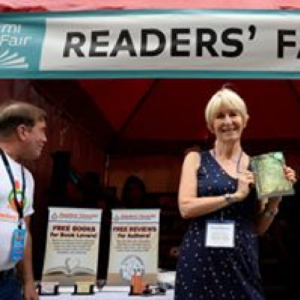 I didn’t need much persuading after discovering that the Readers’ Favorite annual book awards are the fastest-growing international book contest on the internet. There are thousands of entrants and hundreds of awards bestowed on authors of every conceivable genre. 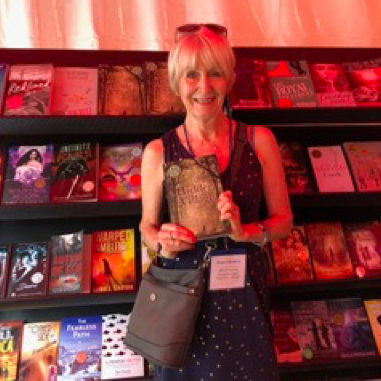 So when the winners were announced in September I was both amazed and thrilled to see The Hidden Village honoured in the Young Adult Action Adventure category. A highlight of my Miami trip was meeting an incredibly diverse group of authors who were also award winners. The youngest was Ellie Collins, a 12-year old writing her debut children’s novel Daisy, Bold & Beautiful. She went up to receive her award dressed as a princess in a white tuile dress, her mum looking on as she proudly applauded her daughter. The biggest cheer from the audience was given to Dan “Tito” Davis, for his Autobiography called Gringo - My Life on the Edge as an International Fugitive. I’m not sure exactly why, but it could be that he’s a celebrity in the US, where he lived as a drugs dealer before escaping to Mexico and other Latin American countries, then serving time in a US prison. With his baseball cap glued to his wispy ginger hair, craggy face, 1970s glasses and baggy jeans, he cut a striking figure amongst the rest of us, all dressed up for the occasion. But I think his book is worth taking a look.